The Penguins announced their new 3rd jerseys! Kris was featured in the social media posts announcing it. The jersey will be worn 12 times this 18/19 season at PPG Paints arena. 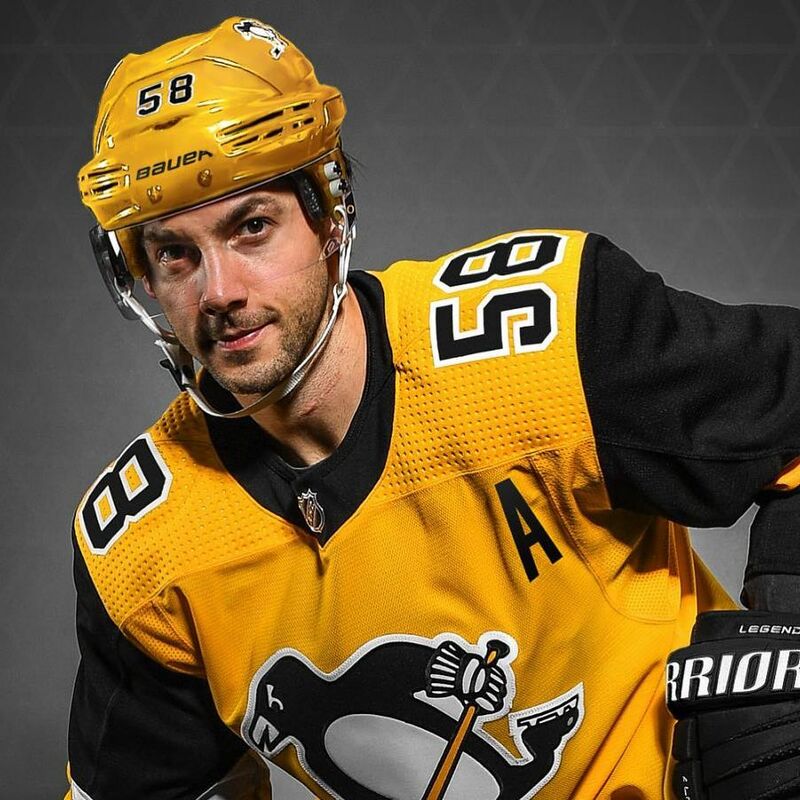 To go with the ‘third’ jersey, the Pens will wear a yellow helmet to match, instead of black. Next story Penguins beat the Golden Knights 4-2 ! Previous story It was a milestone night for Kris Letang, as he surpasses Paul Coffey as points leader among Penguins’ defensemen.